DALLAS -- Even presidents have to show up for jury duty. George W. Bush was at a Dallas courthouse Wednesday, but he wasn't picked. 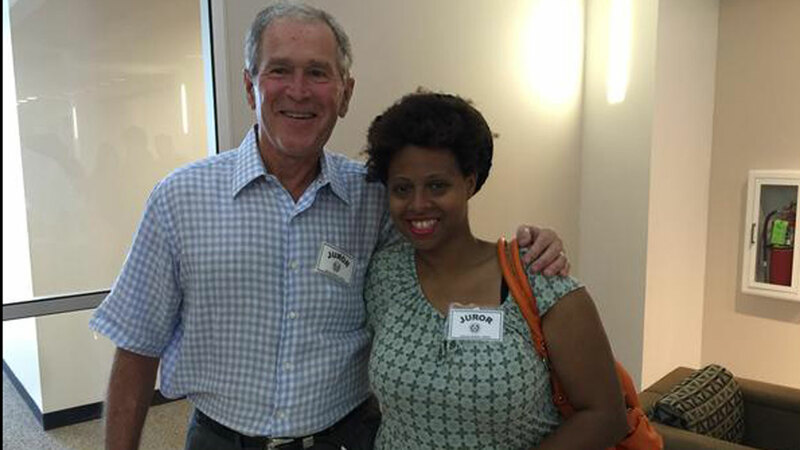 Bush posed for photos with other potential jurors, including Desiree' Bryant, who posted a photo to Twitter. After they were released, the 43rd president was whisked away by Secret Service agents. Action News is at the NFL Draft in Nashville!